Kaiser Wilhelm II faces the dilemma of deciding to sponsor Lenin's return to Russian. 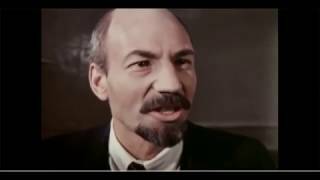 He is fearful of creating a "Bolshevik nemesis" but reluctantly tells his advisors to allow Lenin and his compatriots to travel through Germany from exile in Switzerland in order to destabilize Russia. Why is the Kaiser doubtful about the idea of aiding the revolutionaries? What interest does Dr. Helphand have in facilitating the transport of the revolutionaries? Why is the Kaiser even willing to hear these ideas?